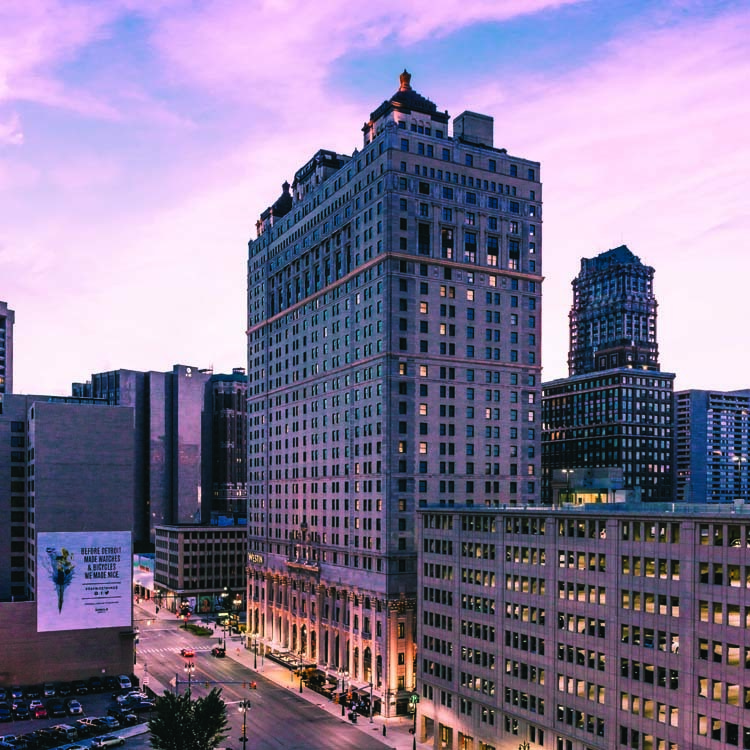 The Westin Book Cadillac Detroit hotel downtown has been outperforming most of its national peers, but behind the scenes, the city and pension funds used for its redevelopment nearly 10 years ago may now take a huge loss. 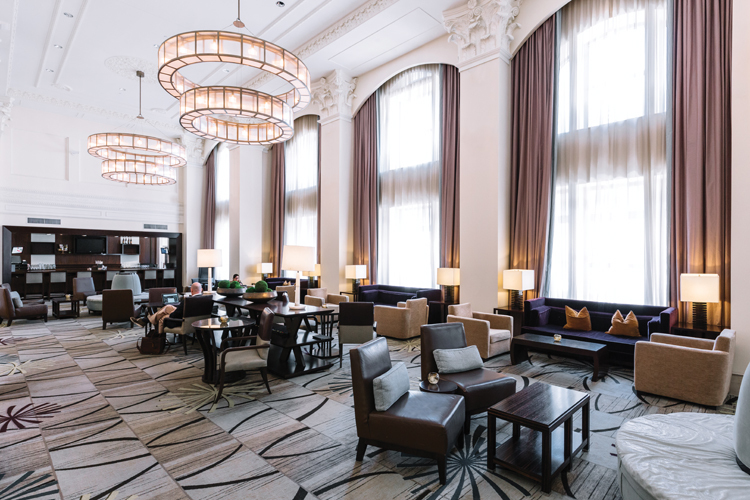 The $188.9-million restoration of the Westin Book Cadillac hotel in downtown Detroit nearly a decade ago is widely acclaimed as the catalyst for the renaissance of new development that almost weekly is transforming a city that, for decades, suffered from a dilapidated and moribund national image. As renovations began on the hotel in 2006, the “deal of all deals” to finance the project was described as one of the most complicated redevelopment efforts in the nation. “It’s definitely the poster child for the most complicated historic tax credit deal ever done,” Ronald DeGrandis, managing director of RSM McGladrey Inc., a major Cleveland accounting firm that oversaw the Book Cadillac’s financial package, told DBusiness in an October 2008 cover story. Unfortunately, the City of Detroit — and especially its two major city worker pension funds — are among the moles that are currently getting wacked. While in recent years the hotel has outperformed most of its peers nationally in terms of occupancy rates, dining receipts, and entertainment expenditures, the city and pension funds are collectively owed $42 million. Of that amount, the city guaranteed $18 million in federal HUD money for the redevelopment, while the pension funds together chipped in the remaining $24 million. As it stands, neither the city, nor the Detroit Police and Fire Retirement System and the General Retirement System that covers retirement benefits for thousands of police, fire, and civilian employees, have received a dime of repayment since making those loans a decade ago. The General Retirement System is owed $9 million, while a $15 million loan from the First Independence Bank of Detroit, which was defaulted on, was backed by the Detroit Police and Fire Retirement System. In 2012, Ferchill, chairman and CEO of The Ferchill Group in Cleveland, informed the police and fire board trustees that he could not meet the terms of the bank loan from First Independence. With the default that followed, the police and fire fund was on the hook for $15 million. Ferchill, who was the catalyst for the redevelopment, says the 2008 global financial crisis, the pending bankruptcy of General Motors Corp., Chrysler Corp., and several automotive suppliers, along with a post-construction appraisal, contributed to the hotel’s early operations. In May, it appeared that the only return for the city and the pension fund investments would have come from a settlement in a lawsuit the city and the two funds filed in 2013 against the Carpenters Pension Trust Fund and its affiliate, CPTF Book Cadillac, an entity created by the carpenters to handle their involvement in the Book Cadillac project. Neither Ferchill nor his partners were a party to the lawsuit. The plaintiffs, in their case, objected to the way they, as junior lenders in the deal, were being treated by the Carpenters Pension Trust Fund. In their filing, the city and the two pension funds argue that they should be held in the same position as the Carpenters, and are entitled to receive regular payments to eventually retire their debt. Multiple news stories reported that the Detroit City Council voted 8-0 to accept a $22-million settlement the Carpenters Pension Trust Fund had offered to settle the debt to all parties. The reports quoted a city official saying the city would use $10 million that would go toward paying down the $18 million obligation to HUD. The remaining $12 million was to be split among the two pension funds. A spokeswoman for the General Retirement System was quoted as saying her group was on board with the settlement, and was negotiating with their police and fire counterpart on splitting their share — the General Retirement System is owed a total of $9 million, while the police and fire fund is owed a total of $15 million. Those reports proved to be premature. The police and fire pension trustees balked at accepting what would have been less than 30 cents on the dollar for their loan, sources say. However, Ferchill says there is a lot more to the story that the city and pension funds are not making public. He says the charge of secret deals and back door dealings alleged by the city and pension fund lawyers is simply untrue. Not only was there never any secret dealing, the idea to buy out iStar Financial’s loan was one he proposed to his lenders. He says he sat in on the settlement meetings with a facilitator who thought that amount would lead to a settlement. But the facilitator, Ferchill says, was having trouble getting everyone to agree, and asked Ferchill if he could find more money. The Motor Bar inside the Westin Book Cadillac Hotel has hosted numerous luminaries since the hotel opened in 1924, including henry ford and spencer tracy. Ferchill says he and the lawyers involved didn’t share the same vision for the hotel. Ferchill adds other lenders and city loans for the project that were not part of the lawsuit have been paid. “We borrowed some money from one of those funds for the Michael Symon restaurant (Roast), and that is currently paid off. We paid off the other lenders. Think about that. With the $25 million appraisal, the value of the hotel was down 80 percent. But we brought it back and made it work. I went and negotiated with the franchise guys, the hotel guys, and got all that stuff renegotiated to keep the hotel going. I love the hotel. It’s nice that it is successful, but I truly do love it. The lawsuit alleges that the Carpenter’s Pension Trust Fund, which backed three lines of credit from Fifth Third Bank worth $17 million, made a secret deal in fall 2009 to buy out the senior lender in the project, New York-based Star Financial, which was owed $42 million. The firm sold that loan and their secured No. 1 lender position among the other creditors to the carpenters union for a discounted price of $36 million, with a down payment of $19.8 million, according to the lawsuit. The remaining $16.7 million was to be paid in five days. The arrangement, the suit claims, allowed the carpenters fund — which initially had no secured protection as a lender in the original loan structure — to vault over six other creditors, including the city and the two pension funds, to be first in line for repayment. As part of that transaction, the suit alleges that the carpenters fund, as the new senior lender, modified a subordination agreement and diverted $16.7 million of cash, collateral, and letters of credit already committed to the project to pay off the balance it owed the New York lender. In effect, the carpenters fund purchased the senior loan for $19.8 million in new money, the suit alleges. And while it paid $36 million overall, the balance of the senior loan remained at $42 million. “Essentially, the lowest priority lender, the Carpenters Pension Fund, diverted money intended for the benefit of mortgage lenders and the project and used it instead to buy the senior debt to the detriment of all other lenders, including the city pension funds,” says Dan Wagner, a shareholder of Couzens, Lansky, Fealk, Ellis, Roeder, and Lazar in Farmington Hills, who represents the city pension fund. While he would not discuss the case, Carson says the carpenters fund will prevail in the suit. “We fully intend to have the first mortgage position of my client upheld, and we intend to prevail,” he says. In legal papers filed with the court, Carson said under terms of the senior lender’s contract with the project, the senior lender has the discretion to assign the loan to another party. He pointed out that, in fact, there was an original senior lender who had previously sold their loan to the New York firm without a challenge. Carson also argued that the contract gave his client the right to modify the agreement involving the $16.7 million. “Money is fungible and there can be no assertion that a particular dollar was used or that any particular dollar went to the transaction,” Carson wrote in the court records. The voluminous Wayne County Circuit Court file shows that since the case was filed in October 2013, lawyers for both sides traded barrages of motions, briefs, and court appearances month after month before Judge Brian Sullivan. Even the lawyers complained about the avalanche of paperwork as they traded motions demanding one side or the other produce more documents, while the other side pleaded with Judge Sullivan that they had, indeed, provided their opponents with the information they were demanding. On Feb. 16, however, one of the motions to the judge by the city and pension fund lawyers appeared to have had a real impact on the case. The Couzens, Lansky firm persuaded Judge Sullivan to give them a court order to go into an Ohio court where they could get a judge to issue a subpoena to allow them to depose Ferchill and his former associate, Timm Judson, to get them to testify under oath about their financial dealings with the carpenters fund. Ferchill and Judson managed to avoid that ordeal, as a month later the court file indicated the lawyers agreed to a sealed settlement. The judge set a date of May 24 for those settlement terms to be completed and the case dismissed. Short of that, the case would continue. While the city and the General Retirement System trustees publicly announced they would take the deal, the deadline passed without the police and fire trustees taking any action. Tina Bassett, a spokeswoman for the General Retirement System, says when the city and the retirement systems made their investments in the Book Cadillac project, it was their hope that everyone would be made whole and the funds would not lose money. “But the city is benefiting because we have the beautiful Book Cadillac hotel back, and it wouldn’t have happened without everyone participating,” she says. When it opened in 1924 at the corner of Washington Boulevard and Michigan Avenue, the 33-floor Book Cadillac, designed in an Italian Renaissance style with Venetian overtones by nationally acclaimed architect Louis Kamper, was the tallest hotel in the world. Presidents ranging from Truman to Nixon were guests, as were movie stars like Spencer Tracy, Katharine Hepburn, and Errol Flynn; luminaries including Martin Luther King Jr.; and celebrities such as Elvis Presley and The Beatles. For 60 years it was listed among the best hotels in the country, until the city began sliding into decline following the 1967 race riots. Due to a lack of upkeep and reinvestment, the Book Cadillac merely lingered until it was closed in 1984. 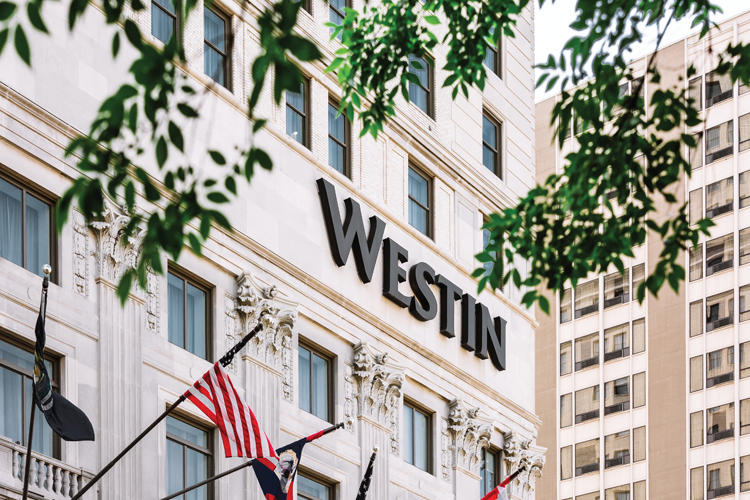 While the westin book cadillac struggled during the 2008 global financial crisis, it has since recovered and is now posting a healthy occupancy rate of 65 percent. Prior to turning to Ferchill in 2005, Detroit Economic Growth Corp., a quasi-public development agency, held title to the property. The organization initially selected Historic Hospitality, a division of Kimberly-Clark that specialized in restoring historic properties, to do the restoration. After two years, however, Historic Hospitality walked away from the project. During the time the Book Cadillac deal was being put together, both city pension funds were plagued by shaky lending practices and, in other instances, corrupt criminal conduct. The federal government investigation into the scandal-ridden administration of former Mayor Kwame Kilpatrick found that bribery and kickback schemes involving pension officials and trustees involved the investment of more than $200 million. Jeff Beasley, a former city treasurer who was a trustee to both pension boards; Ronald Zajac, who for more than 30 years served as general counsel to both funds; and Paul Stewart, a veteran Detroit police officer and fund trustee, were indicted and later convicted of conspiracy, bribery, and extortion. Beasley was sentenced to 11 years in federal prison and Stewart received 57 months, with three years of federalized supervision after his release. Zajac, who was 70 years old at the time, died weeks before his sentencing date. Since that time, both pension funds adopted strict reforms covering how they invest and have hired professional firms to advise them. In 2014, as part of other financial reforms that came out of the city’s bankruptcy case, Gov. Rick Snyder’s office announced the formation of separate investment committees agreed upon by both pension boards of trustees to further oversee investments made on behalf of city retirees. The hotel, now known as the Westin Book Cadillac Detroit, survived a shaky 2008 start with the global financial crisis, but in recent years has posted impressive numbers with an occupancy rate of as high as 65 percent, more than 10 points above the national average. At the time of the opening of the 455-room hotel, the structure included 67 luxury condominiums whose sales were initially blunted by the recession. The Ferchill Group announced after the hotel opened that they had received deposits from prospective buyers on 64 of the condos, which ranged in price from $280,000 to more than $1.4 million for three penthouses. Many of those sales, however, never materialized, as would-be-owners melted away with the economic downturn or could not get mortgages. Instead, the hotel development team initially rented out the units as apartments. Now, with metro Detroit posting impressive gains in the housing marking, the Book Cadillac’s condo sales have perked up. According to the hotel’s website, only a handful of the units, including the penthouses, are now available, with prices ranging from $465,000 for a two-bedroom unit to $1.3 million for the penthouses. The hotel also is home to two highly rated restaurants — Roast, operated by celebrity chef Michael Symon; and the 24 Grille — which, in addition to offering a restaurant designed by Ron Roman Concept and Design in Birmingham, includes a 30-seat private dining room and a champagne bar. James McTevia, principal of McTevia and Associates in Novi, which works with companies in severe financial difficulties and serves as an advisory to banks and pension funds, says Judge Sullivan and the authorities should delve into how the Carpenters Pension Trust Fund transformed their position in the deal, which he says may have been done illegally. “In the beginning you had a facility that wasn’t performing, (and) you had a lender that got very uncomfortable and, in my opinion, did something very irregular, if not illegal, in terms of how they and the carpenters fund arranged the buyout,” he says. “It was highly unusual. Thank goodness the Detroit Police and Fire Fund were on the ball and saw what was happening and filed a lawsuit to try and stop it.